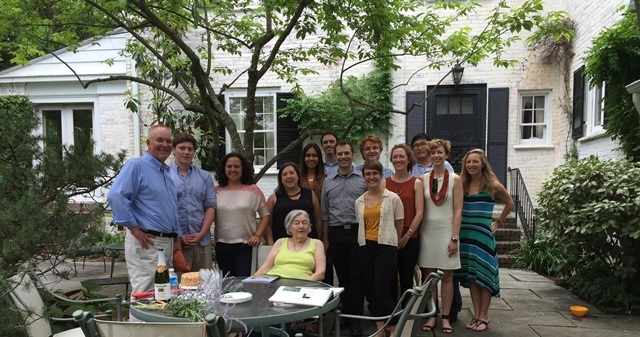 On a Friday afternoon in June, OvS traveled to the Baltimore home of long-time client Pauline Vollmer to celebrate her 100th birthday. The garden, originally designed by Wolfgang Oehme in the 1960’s, is widely recognized as OvS’ first residential garden. 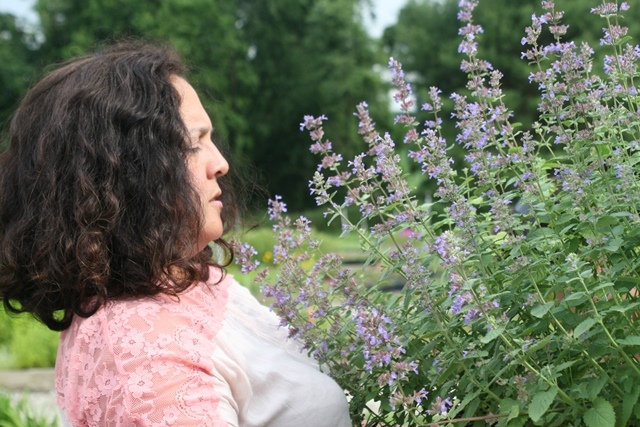 Ms. Vollmer’s garden is featured in several publications, including Wolfgang and Jim’s first book, Bold Romantic Gardens. The garden is designed as a series of three terraces that allow visitors multiple vantages to take in the property’s layered plantings that, in effect, transform the suburban context. From the living room terrace, stepping stones descend to the lower terrace and lily pool. Modernist furniture and sculpture punctuate the property. In addition to birthday cake, OvS staff were treated to remarks from the venerable Ms. Vollmer, who quickly enamored herself to everyone in attendance. 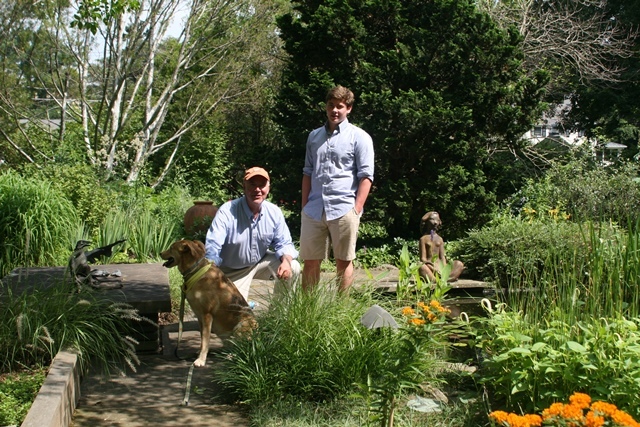 Principal Eric Groft led a tour of the garden, which allowed for a glimpse into OvS history – many of the plants and practices used in the design bear the hallmarks of OvS’ founders. 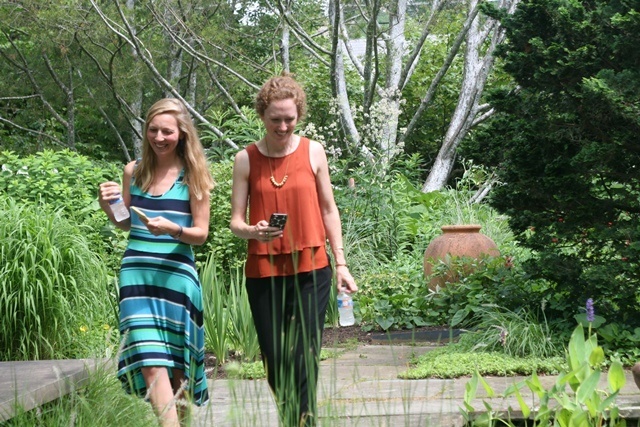 Following the party the staff visited Kurt Bluemel, Inc, a world-renowned Nursery in Baldwin, Maryland. 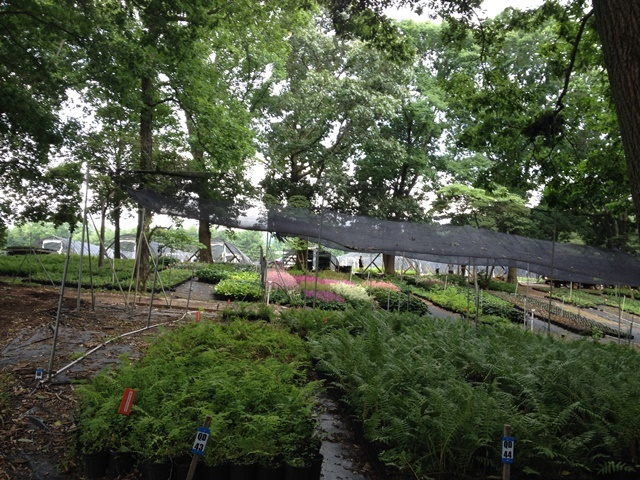 The group was greeted by the staff, and given a tour of the nursery’s production facilities. 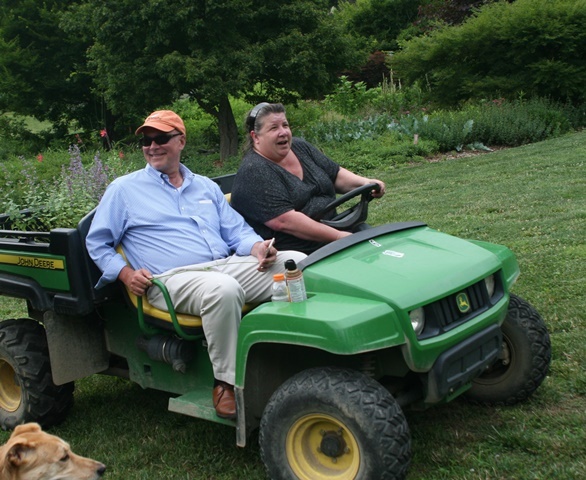 Kurt Bluemel’s nursery has served as a source of perennials and other plant material for OvS for over 40 years. 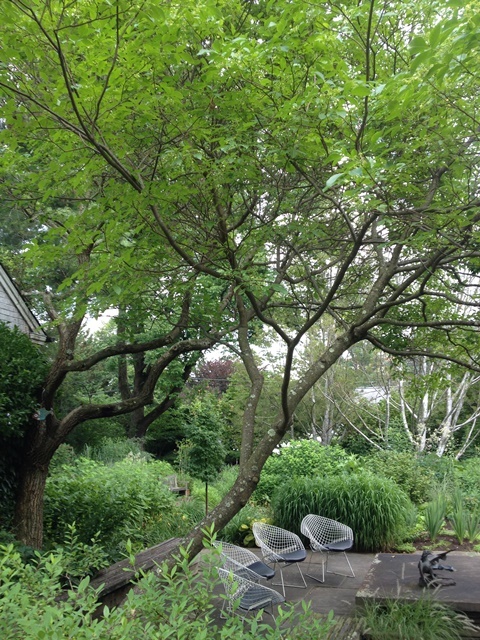 Bertoia chairs sit under Ptelea trifoliata, the common hoptree.